ARMORIT has been recognized by Lockheed Martin as an outstanding small business provider for 2009. Lockheed Martin relies heavily on materials, services, solutions, resources and components through our small businesses to provide our customers with world-class products. ARMORIT has been recognized by Lockheed Martin (NYSE:LMT) as an outstanding small business provider for 2009. Each year, Lockheed Martin business units in Orlando, FL, and Dallas, TX, nominate and select small businesses that have consistently provided outstanding support and products during the past year. Though the Corporation has thousands of suppliers, only a few of the small businesses are recognized for their outstanding quality in goods and service. At an awards banquet in Orlando, executives from the Lockheed Martin Missiles and Fire Control and Lockheed Martin Simulation, Training & Support business units presented awards to 18 companies. 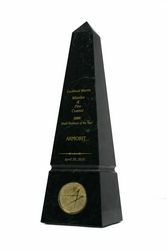 ARMORIT was awarded Outstanding Supplier status by Lockheed Martin Missiles and Fire Control, citing that their quality and delivery performance has been consistently out-standing while delivering critically complex products that satisfy a myriad of quality and technical requirements. ARMORIT was also given accolades for their commitment to innovation both in their tools and techniques to ensure the highest level of customer satisfaction. Headquartered in Bethesda, MD, Lockheed Martin is a global security company that employs about 136,000 people worldwide and is principally engaged in the research, design, development, manufacture, integration and sustainment of advanced technology systems, products and services. The Corporation reported 2009 sales of $45.2 billion. ARMORIT LLC, led by Floyd Asbury, President, and Rob Brady, Executive Director, primarily focuses on serving the government, military and commercial markets with Product Development & Delivery, Systems Engineering & Integration, Electrical, Industrial and Mechanical Design and Life Cycle Support. The breadth of product development and delivery experience covers hybrid electric vehicles, military vehicle components, various transportation products, consumer electronic products, digital and analog instruments, fuel cells, emergency lighting systems, lightweight composite tools, surgical tools, antenna structures, wireless medical devices and marine products. ARMORIT is a service-disabled, veteran-owned and managed company.